When you join Cottonwood Runners, you’ll help raise funds to support Grateful Hearts, a non-profit agency that helps meet the basic physical needs of those who are hurting in our local community and abroad. You’ll also be part of a team that guides you and encourages you every step of the way. Whether this is your first race or one of many, we want you to be in the know! At the info meeting, you’ll learn what to expect during this season, and we’ll answer any questions you may have. You must register through us to participate in the Long Beach Marathon with Cottonwood Runners. Registration fee varies by race type. After you register, be sure to check your confirmation email for important instructions – you will have to sign an electronic waiver to proceed. Registration Opens: June 8, 2018. 3. Register with Active & create your Grassrootz fundraising page. Active handles the official registration for the 2018 Long Beach Marathon. Grassrootz is the fundraising platform. We will email you a special link to register with Active after you register with Cottonwood Runners AND sign the electronic waiver. 4. Join us for Training! Cottonwood Runners has developed a 15-week training plan to prepare you for the marathon. For extra accountability and support, we encourage you to either join a group or form one with fellow Cottonwood Runners. We train together on Saturday mornings—you can walk, cycle, or run at your own pace. Join us! As a Cottonwood Runner, you have the option to sign up for a group to meet and train with during the week. Groups provide community, support, and accountability with training and fundraising, in addition to our Saturday morning trainings. Read the group descriptions carefully before you request to join a group, and request to join AFTER you’ve completed your Cottonwood Runners and ACTIVE registrations. Please request to join ONE group, so other registered Cottonwood Runners have the opportunity to join also. Here are the most commonly asked questions about Cottonwood Runners. Click a category below to find your answers. Cottonwood Runners is a group of runners, walkers, and cyclists of all skill levels who raise awareness and support for organizations that help those in need. We do this by raising funds and participating in the Long Beach Marathon as an official charity. This year, we are supporting and raising funds for Grateful Hearts, a non-profit agency that helps meet the basic physical needs of those who are hurting in our local community and abroad. What is involved in participating with Cottonwood Runners? Cottonwood Runners register to run, walk, or bike the Long Beach Marathon and raise funds through family, friends and co-workers, to support Grateful Hearts. An optional fifteen week group training program is available to our participants. We encourage Cottonwood Runners to join a group of form a group for fellowship, support and accountability with training and fundraising. Yes, one of the main objectives of Cottonwood Runners’ participation in the Long Beach Marathon is to fundraise for organizations that help local and global communities. After submitting your registration fee, there is a minimum fundraising requirement of $300 per person to participate in Cottonwood Runners. Cottonwood Runners have until October 31, 2018 to raise the $300 minimum. What if I don’t fundraise the $300 minimum? We encourage you to begin fundraising early, and to seek the help of Cottonwood Runners leaders and fellow runners. We also encourage you to click on the “Fundraising” tab on our webpage, for fundraising tips and ideas. Alternatively, you can make up the difference by donating to your own fundraising page. You can donate to your fundraiser by placing a check or cash in a Cottonwood Church giving envelope and placing it in the offering buckets during service, or the offering slot at the Welcome Center. You MUST include a “RUNNERS DONATION FORM” with any checks or cash. The form can be downloaded here or obtained from Cottonwood Runners leaders or Cottonwood Outreach staff. How are the funds raised by Cottonwood Runners used? Your donations will help fund the efforts of Grateful Hearts to provide food, clothing, household items and furnishings to those in need in our local community and abroad. Do you need to be an avid runner to participate? No, participants of all skill levels are welcome. In fact, we’ve had many first timers join us and successfully complete their first race. From beginner to experienced runner, walker, or cyclist, we will work with you to reach your goal of crossing the finish line! Can friends and family participate in the finish line activities on race day? Family and friends are encouraged to cheer for you at the finish line and volunteer at the event and/or our water station! They are welcome to meet you at the Cottonwood Runners charity tent to congratulate you, but will not be allowed to partake in the food and refreshments. Do we train if it rains? We will train rain or shine! Any changes or cancellations to our Saturday training at the Cottonwood Church campus will be communicated via email or social media. Can my child participate and run with me? Participants must be at least 14 years of age with parent’s permission. Parent must complete registration for each minor, which will include signing the minor’s waiver electronically. What if I cannot run the date after I have already registered? The registration is nonrefundable. This is a fundraiser and you will still be required to raise a minimum of $300 by race day whether you run or not. All online transactions are being processed by Grassrootz. Please refer to their security and privacy information pages for additional information. During your registration with Active, a Grassrootz fundraising page will be created for you. After registering with Active, you will receive an email from Grassrootz with a link and instructions on how to set up your fundraising page—please set up your page soon after you register. We encourage you to invite family, friends, and coworkers to give toward your fundraising campaign by sharing your Grassrootz page link. Grassrootz is a cost-effective online fundraising website for personal fundraisers, non-profit fundraising and event fundraising. How do I create a Grassrootz page? A Grassrootz fundraising page will be created during the registration process. Who are checks written out to? Checks are written out to Cottonwood Church. The memo section should state Cottonwood Runners and the First and Last Name of the runner you are supporting. Where do I turn in check and cash donations? You can turn them in to Cottonwood Church in the offering buckets or the offering slot at the Welcome Center. You MUST include a “RUNNERS DONATION FORM” with any checks or cash. The forms can be downloaded here or obtained from the Cottonwood Runners Staff. Will my cash/check donations show up on my Grassrootz page? Yes, as long as the cash/check donation is turned in with the Runners Donation Form. Will my donors who give me a small cash donation receive a receipt? Yes, submit your Runners Donation Form (completed) and a receipt will be mailed out. What if I can’t make it to Saturday training? We encourage you to come to training regularly for the support, accountability, and fellowship, but we understand if you can’t make every Saturday. We encourage you to train on your own if you can’t join us, so you’re physically prepared for race day. If you happen to skip several trainings, we encourage you to come to Saturday training and talk to one of our Cottonwood Runners leaders so they can help you plan how to get back on track with training. Can I train with the team on Saturdays with a stroller? The JetBlue Long Beach Marathon will allow you to run the race with a stroller. However, we do not allow strollers during Cottonwood Runners trainings. What are Cottonwood Runners Groups about? Cottonwood Runners groups are designed to provide support and accountability during the week. Groups will be led by experienced Cottonwood Runners who will provide support and accountability with training, fundraising, etc. After you complete your registration, you may request to join a group by clicking the “Groups” tab on the cottonwood.org/runners website. Click on the group to read the group’s description and make sure that the time and location work for you before you request to join. Your request to join will be approved after we confirm that you have registered with Cottonwood Runners and Active. We ask that you only join ONE group, to give other Cottonwood Runners the opportunity to participate. What if I want to train with others more than once during the week? 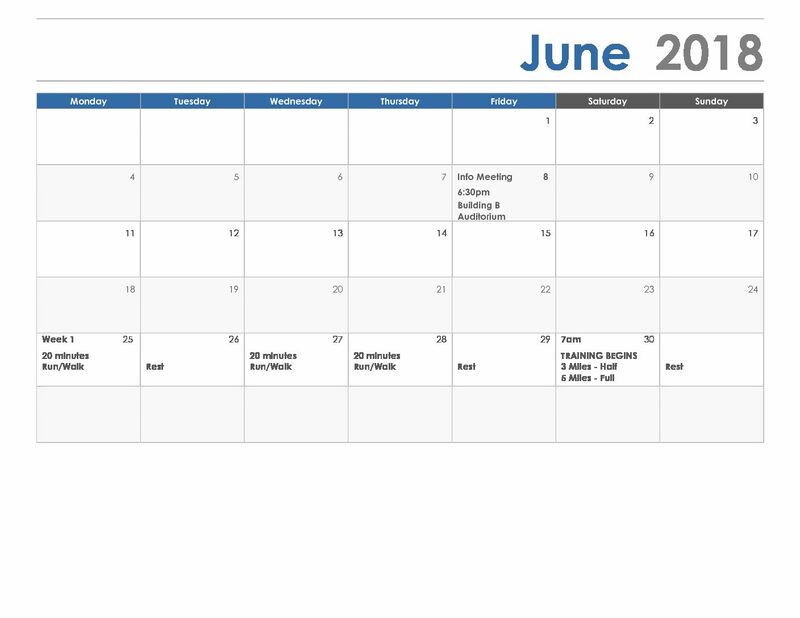 We encourage you to join one group and connect with group members to make arrangements to train outside of scheduled training meetings. Do I have to join a group? You don’t have to join a group, but we highly encourage you to; community support and accountability are very important in the training process! Use your best judgement when selecting a group to join. The categories for the groups will vary by skill level and race type, i.e. beginner – walk, intermediate – run/walk, advanced — run, intermediate – bike, etc. If you’ve never participated in a race and/or you’re not an experienced runner, we recommend a beginner group. If you’ve participated in races before and/or you have some walking/running experience, we recommend an intermediate group. If you’ve participated in races before and/or you run at a fast pace and/or run for time, we recommend an advanced group. If you need help selecting a group, or you need to be placed in a different group, please email cottonwoodrunners@cottonwood.org for assistance. What if none of the groups work with my schedule or location? If none of the groups work with your schedule or location, we encourage you to form a group with fellow Cottonwood Runners. Come to Saturday training to connect with fellow Cottonwood Runners who may become your training buddies during the week! Have you reflected on your personal reasons for training for and running the race? Is the marathon a personal goal or challenge? Has the training process helped you grow in faith? Are you running for health/fitness reasons? All of the above? Share that with potential donors/sponsors; give them a glimpse of your heart, and extend the opportunity to partner with you to support Grateful Hearts. Writing and sending personalized/individual emails or messages to friends/family/coworkers has been more helpful than mass emails or general social media posts (not that there’s anything wrong with that!). If you need help with a template for the messages/emails, please email cottonwoodrunners@cottonwood.org for assistance. Hosting a fundraising event in your home, i.e. BBQ, dinner, arts & crafts night, painting night, etc. Reaching out to local restaurants about their fundraising opportunities. Reaching out to local businesses to partner with you to raise funds. Baking or purchasing treats in bulk and selling them. We want to help you extend the opportunity to others to be a blessing to Grateful Hearts in whatever way we can. If you don’t know your Grassrootz page link, please email cottonwoodrunners@cottonwood.org and we will provide it for you.